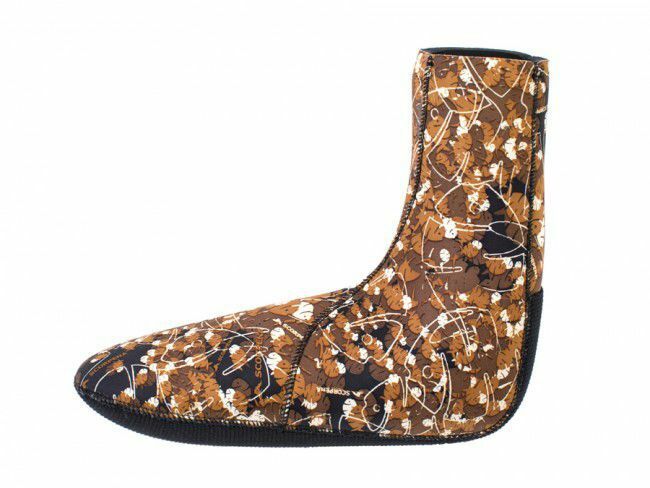 Socks have the same characteristics as Scorpena D socks. 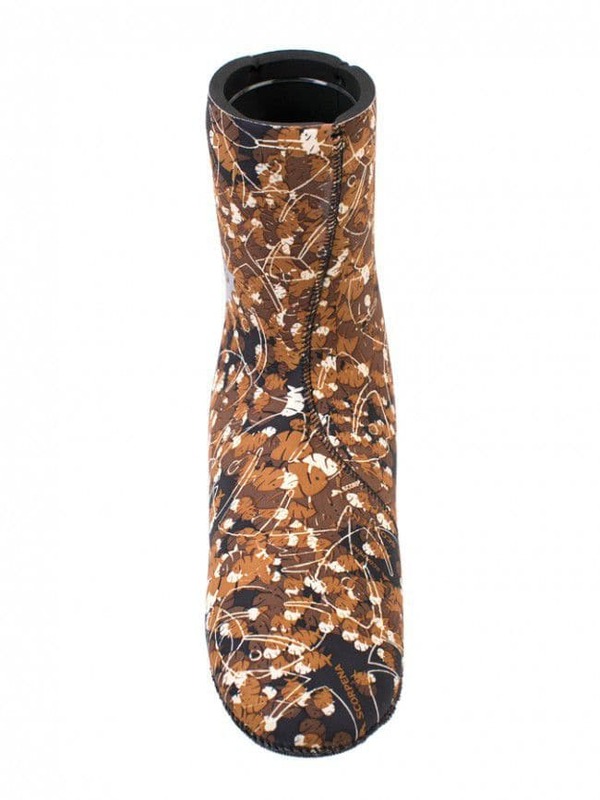 The only difference is camouflage colours and lack of non-slip layer on the sole. 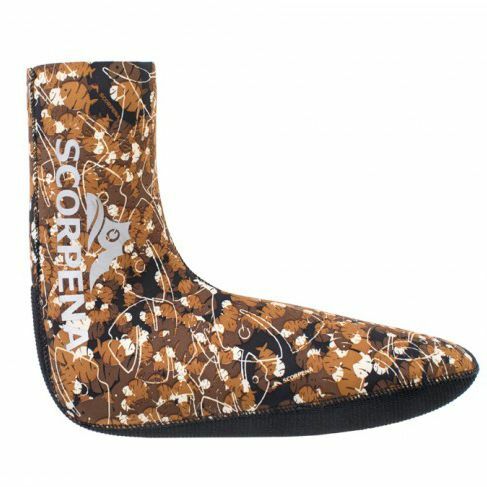 Socks Scorpena D are made of neoprene with open cell from the inside – for maximum thermal protection. Seams are glued and blind stitched. This model was created taking into account the structural features of the right and left feet of the spear sher and the angle of the foot during finstroke. 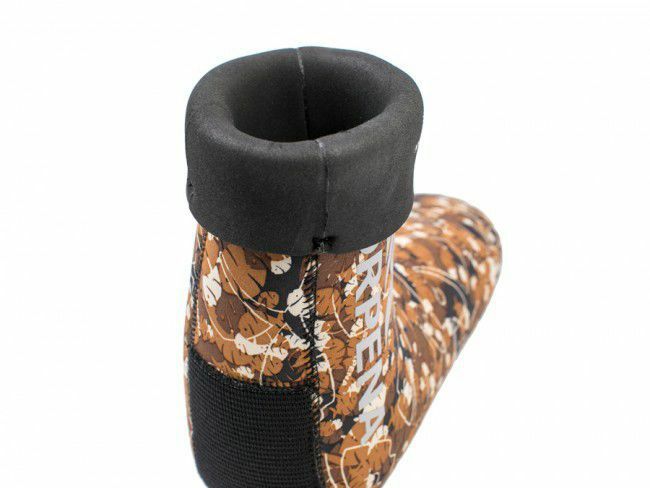 The plantar part of the sock is made of a solid neoprene for greater protection of the feet and durability. 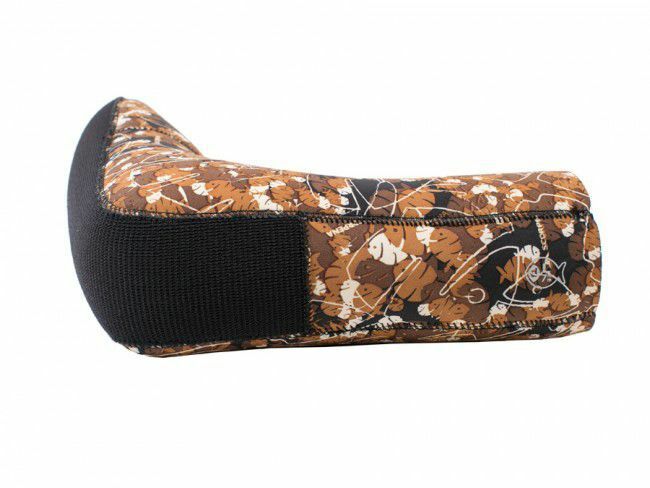 Outside covered with Supratex and has non-slipping layer, inside part has a plush lining to prevent slipping.